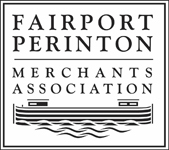 Fairport Partnership: For a better community. For details check out our Oktoberfest page – Link under Events tab! Volunteers will clean up debris from the canal district. We will begin at the Box Factory and divide into 2 teams, one heading east and one west, covering as much of the canal path as time allows. If volunteer numbers are such that we can branch out into the local Fairport business district we will work there also! Meet at the Box Factory Pavilion – bring work gloves, brooms, flat shovels and rakes if you have them. We will provide vinyl gloves and bags! Volunteer for Fairport’s Annual Canal Clean Sweep! This year the Fairport Perinton Partnership for a Better Community and Senator Rich Funke team up with the NYS Canal Corporation, and Parks and Trails as local sponsors of the state-wide Canal Clean Sweep 2016 event, Saturday April 23, from 9am-12pm. Efforts focus on cleaning up public spaces throughout the central business and canal districts of the village. Every year volunteers ranging from 4 to 84 years old, as individuals or with civic and youth groups, participate. Participants are asked to meet at the Box Factory Pavilion at 9am. Bring a favorite broom, flat shovel, and rake, and join Fairport and Perinton neighbors to benefit the Canal and community by giving the New York’s Canal System and Trail a thorough cleaning. Event coordinators include Scott Winner of the Fairport Partnership for a Better Community, Kevin Knapp of Senator Funke’s Office, Fairport Partnership Adopt-A-Trail coordinator and Clean Sweep event chair, Cindy Hunt and Joel Cuminale of Turning Point Signs and Design. Individuals and groups interested in participating in Canal Clean Sweep 2016 can contact Hunt at cindyhunt1964@hotmail.com or at (585) 377-2655 or, Winner at info@fairportpartnership.org or (585) 377-6010. Fairport’s Veterans Memorial at Potter Park features an area for the display of memorial bricks. Those interested in purchasing a personalized brick to honor a United States veteran for Memorial Day 2016 must send in an order by the May 1st production deadline. Buy-A-Brick forms can be downloaded at www.fairportfoundation.org in the donate tab. The 4”X8” bricks are intended to honor United States Military Veterans only, and are limited to one Veteran per brick. Each brick costs $100 and has 3 lines with 20 characters permitted per line. Line one includes first name, middle initial, and last name, line two may include rank and or branch such as “PVT” or “USA”, and line three may include your choice of conflict, theatre of operation, dates of service, special awards, etc. Veterans need not be natives of Fairport or Perinton. Potter Park has been a focal point of the Fairport Village for many years, honoring the brave men and women who have served in the military. Frederick Potter donated this property in 1943, and has since been used as a community and teen center, a playground, a public park, and memorial to soldiers. The Fairport Historic Preservation Commission (FHPC) officially designated Potter Memorial as a Village landmark in June 2010.